So your engaged…Congratulations!! Now where to start on one of the biggest decision in your wedding planning journey. Looking for that perfect wedding ceremony location and perhaps a reception venue close by can be time consuming and tricky!! And Oh yeah…not to mention you like the outdoors and by the water would be nice! 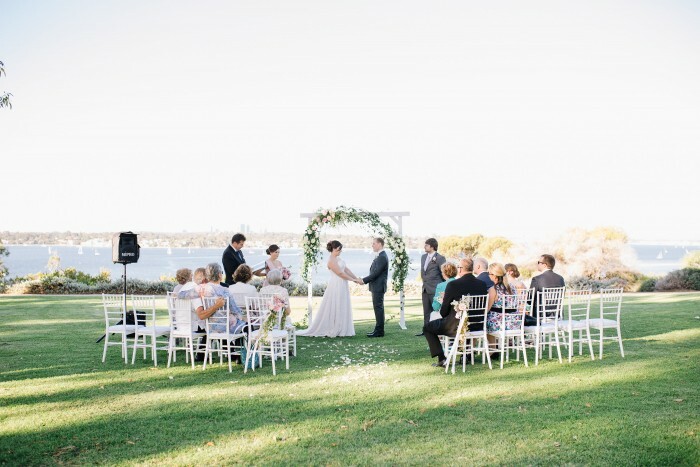 You are in for a treat here, because we have listed out some of our popular and favourite gardens, parks and waterfront ceremony locations that are close to a few popular waterfront reception venues in Perth. Below is a list of some of our favourite waterfront ceremony venues we worked in, worth checking out! We saved you the time in looking around, by linking you to the appropriate websites to get you started on your wedding enquiries. 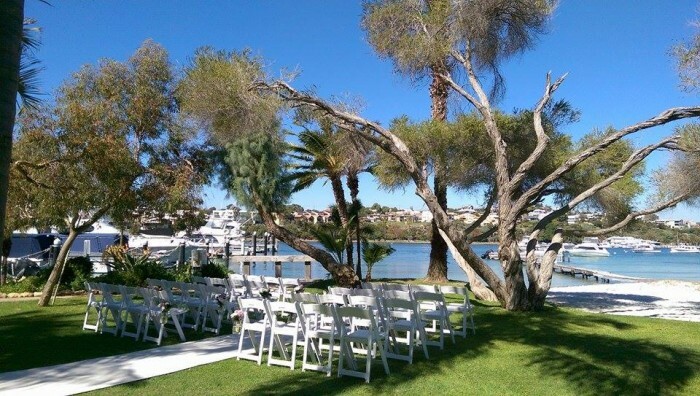 We hope to hear from you when you have found your perfect ceremony spot. We would love to work with you in styling and set up your dream ceremony at either of these beautiful venues one day!! 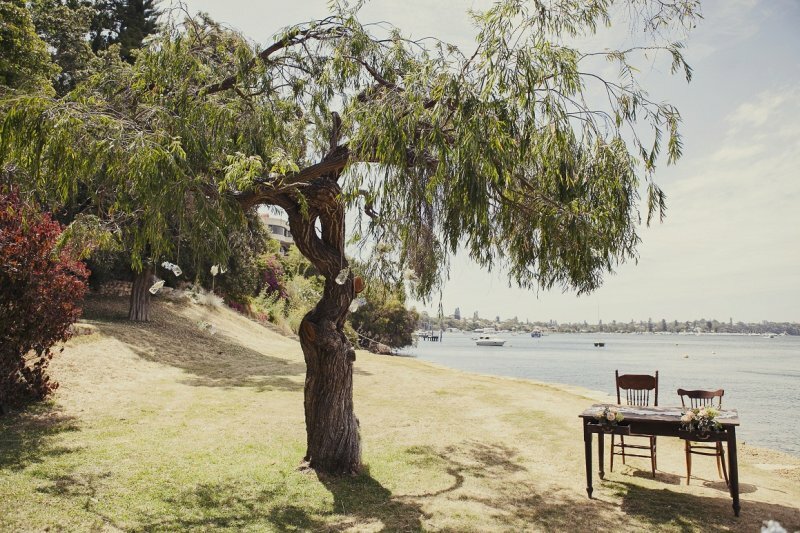 Bayview Park at Mosman Park has some of the best river views Perth has to offer. It really is spectacular. Our favourite is the area along the Corner or Johnson Parade and Bay View Terrace, Mosman Park. If you are after a ceremony location close to your reception, you could consider having your wedding reception at Mosmans Restaurant or the Royal Freshwater Bay Yacht Club. You can choose so many spots by contacting the Town of Mosman Park, or call 9480 3600. Green Place Reserve is another favourite in Mosman Park. This hidden and private garden venue is exclusive surrounded by lush greenery and high fauna. You could also look at having your wedding reception at Moore and More Cafe or Bib and Tucker. It is owned and managed by the Western Australia Planning Commission. You can book this location by seeking permission on 6551 9016. Kings Park and Botanic Garden is a popular wedding and events location in Perth. There are so many spots to choose from. We have styled and set up more than a few weddings in a and around Kings Park. One of our favourite is by far the Marlee Pavilion. Some of our favourite Perth CBD reception venues close by are Frasers Restaurant, The Terrace Hotel and Lamonts Bishop House. For more information and bookings go to Kings Park & Botanical Garden Park Authority or by calling 9480 3600. The Reserve is a thin strip of land covering 20.6 hectares between Hackett Drive and the Swan River. So you would have to book an area by contacting the Parks and Wildlife on 9405 0700. The Queens Gardens is a large garden situated in East Perth, next to the WACA. It offers lots of areas within the gardens itself, including a large lake, a rose garden and a Pergola just in case it rains on your big day. 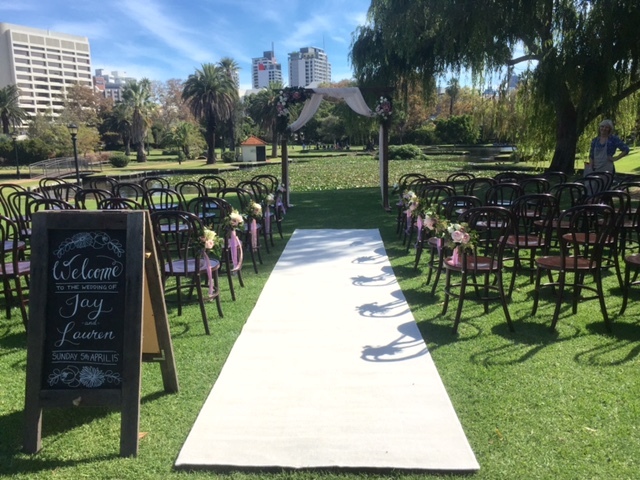 If you are thinking of having your wedding reception somewhere close to Perth CBD, The Queens Gardens in East Perth is the perfect outdoor venue to have your wedding ceremony. You could consider Perth city upper class fancy venues such as Linton and Kay Galleries Perth or The Trustee Bar and Bistro. 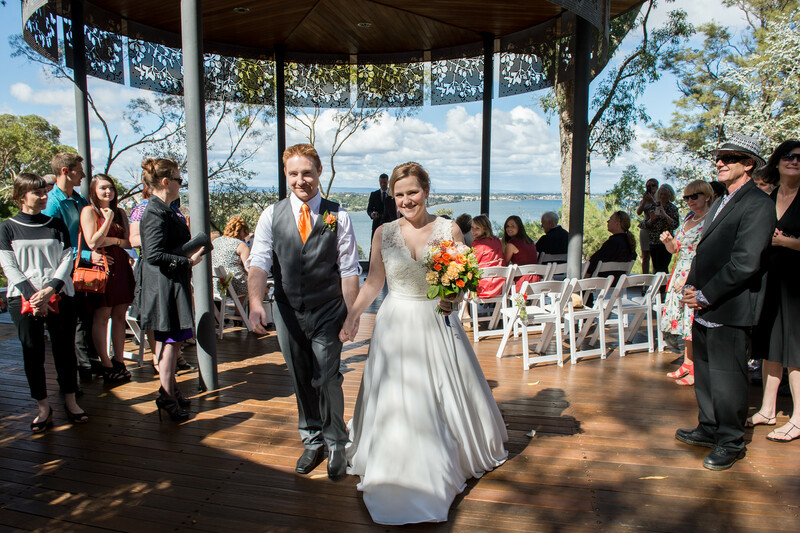 Or waterfront reception venue close to the city such as The Boatshed Restaurant or Burswood on Swan. So many choices! You can find out more information about the Queens Gardens, East Perth by contacting the City of Perth by calling 9461 3140. Pier 21 is directly behind the Pier 21 Apartment Hotel in North Fremantle. This beautiful spot offers a lot of shade and river views overlooking white sands and luxury yachts. 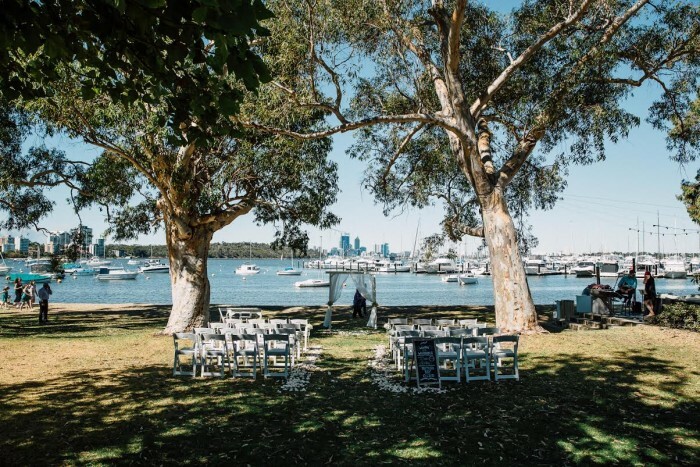 Our previous couples who book us here have also booked nearing wedding reception venues such as the The Red Herring, Salt on the Beach, The Blue Duck, Little Creatures – The Deck and Swan River Rowing Club. These may have some interest to you, if you like the waterfront venues like we do! You can book this location vie the City of Fremantle and check for availability on 9432 9702.